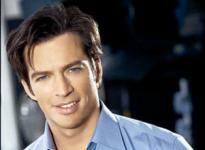 Harry Connick Jr has released a staggering 24 albums over his 22-year-plus career, dabbling in genres like traditional pop, instrumental jazz, funk and the blues. Most surprising however, is that the idea of a musical collaboration has not seen the light of day until now, in the album of covers titled Your Songs. Connick worked with record producer Clive Davis on this effort. The former orchestrated the sounds for a big band and string ensemble while the latter choose the songs aiming for a program of classic sounds that were familiar yet contemporary. The "modern" part is a relative term and is given to these hand-picked songs from the last 50 years in music. Connick Jr traverses the same territory associated with the likes of Michael Bublé and, to a lesser extent, Patrizio Buanne. 15 easy listening songs are delivered in true crooner style and seem designed to make the fans of André Rieu (or a similar vintage) swoon. Some tracks sound like old standards and others would not be out of place in a romantic film score. Two versions of The Beatles' 'And I Love Her' appear; the first turns a pretty pop gem into a nostalgia classic by conjuring up images of elderly couples dancing cheek-to-cheek. The latter version features the chic tones of Carla Bruni-Sarkozy in what is a truly lovely interpretation. The same cannot be said for the attempt at Elton John's 'Your Song'. The track massacres the perfect original and is a lame and terrible polka-like version delivered with extra cheese. Other songs include Charlie Chaplin's 'Smile', Don McLean's 'And I Love You So', and Billy Joel's 'Just The Way You Are'. If an evening featuring some debonair men in suits at a dance hall accompanied by ladies curtseying in elegant gowns to a soundtrack that is reminiscent of a 1930s film score delivered by a crooner behind a silver mic sounds like your cup of tea then you'll love Your Songs. If so, you could find it a shining tribute to the gramophone and an innocent and bright-eyed age.